TTC wetranslate has confirmed an exciting new partnership with the University of Essex. It has joined forces with the University’s Department of Language and Linguistics to run a challenging and innovative competition designed to find the translation stars of tomorrow. 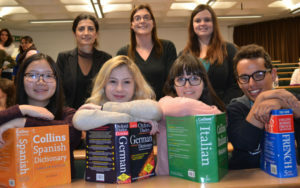 The competition that was launched on Wednesday 15 January 2014 is the first ever to be run by the Languages and Linguistics school. The students will work on an actual TTC wetranslate client project, The English Cream Tea Company. Split into teams, the final year and Masters students will gain valuable insight into what it means to be a translator working with business clients in a real translation agency. Translation Challenge competitors will be given the chance to flex their language muscles and put degree teachings into practice in a busy commercial environment. The winning team will be announced on Wednesday 19 February at the University of Essex. Based in Chelmsford, TTC wetranslate has provided a range of language and translation services for more than 20 years. It works with local and national businesses, with translation available in over 100 languages. It was recognised as one of the region’s pioneers last year when it was named the Essex Enterprising Business of the Year by the 2013 Essex Business Excellence Awards. For photos of the competition launch please visit: http://www.flickr.com/photos/universityofessex/sets/72157639801786634/. For further information please contact Vicky Passingham from the University of Essex Communications Office on 01206 872400 or email: vpass@essex.ac.uk. About TTC wetranslate Ltd: Established in 1992, TTC have a strong history of providing specialist translation services to business across the nation. Its highly trained team of expert translators can handle every industry from medical to financial.